This Father’s Day, show Dad how much you really appreciate him. 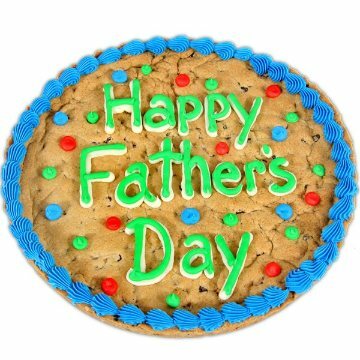 Nothing says, “Dad, you are truly loved” like our Father’s Day Cookie Cake! This 12-inch cookie cake is sure to make Dad happy on his special day, as it’s made with rich chocolate chips and hand-decorated with creamy vanilla frosting.